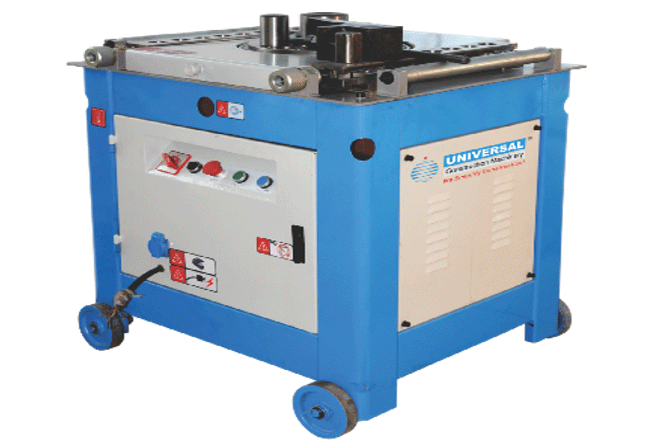 This unit is mainly employed for steel bars inserted in columns and has been recently introduced by Universal. Steel Bars up to 14 mm diameter can be processed through this machine. Robust in construction and low maintenance are salient features of this unit. Specifications are as mentioned below. Straightening Diameter – 4-14 mm. 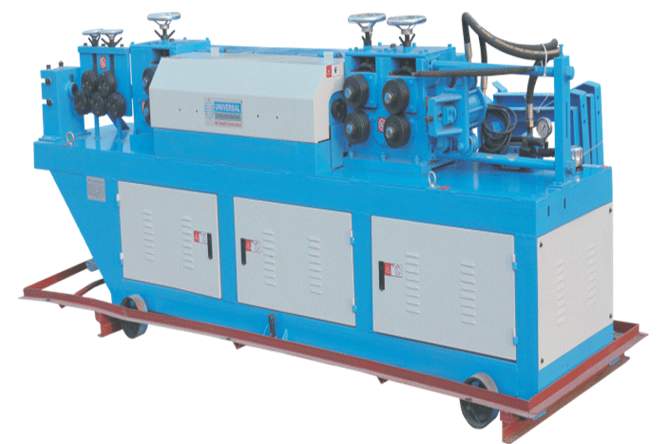 Wire Traction Speed – 50-65 Mt./Min. Length of Wire Set Ruler – 800-1100 mm. (Increasable). Length Error of Wire Cutting - +5 mm. Wire Straightening Degree - +2 mm/Mt. Cutting of - -4.0 K.W. Host Dimension (L X W X H) – 3150 X 650 X 1200 mm. Gross Machine Weight – 1380 Kgs.